Yay, got a ScanGauge II for Christmas, and I think I've got the X-Gauges how I want them. Engine RPM, water temperature, a far more accurate display of battery state of charge, and high voltage battery current flow - I’d say that’s a pretty decent config. 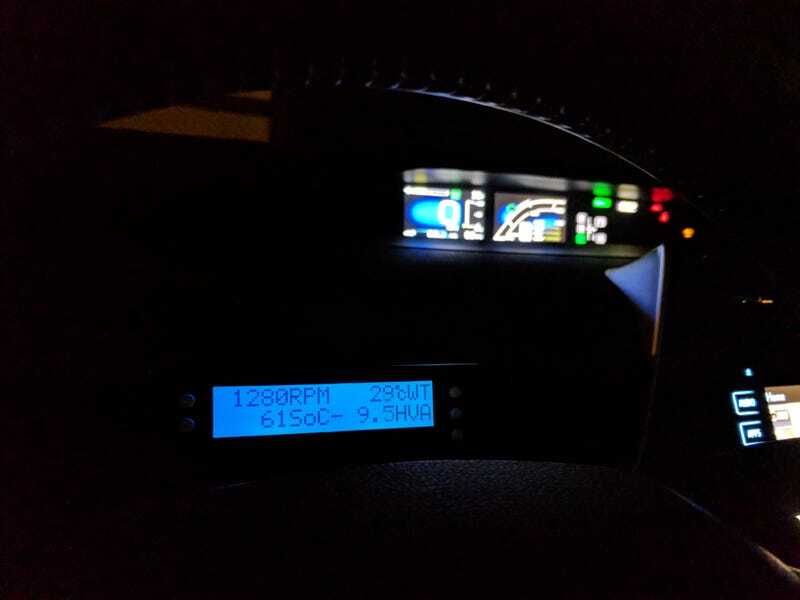 Although, I’ll have to send it back to the manufacturer to have the firmware updated to 4.45 (actually 4.50 is out, so that instead) - it’s got 4.42, which can’t do Toyota TPMS, which would be really handy to have (right now, all I get is an idiot light saying a tire’s low, when the car knows damn well which tire it is, and what pressure they’re at).